Are you excited, guys? The #madebygoogle event starts in less than an hour: at 11am ET (8am PT, 15:00 GMT). We expect to see the Google Pixel 3 and Google Pixel 3 XL unveiled during the festivities, and have passed along "official" renders showing off both handsets. The one thing that has caught the attention of many is the notch on the larger screened model. Pre-orders for the next generation of Pixel phones will start immediately following the October 9th event. There also has been plenty of hype surrounding the new Pixel models, with some truly believing that Google will reveal a "Pixel Ultra" phone equipped with a large, notch-less, and edge-to-edge display. 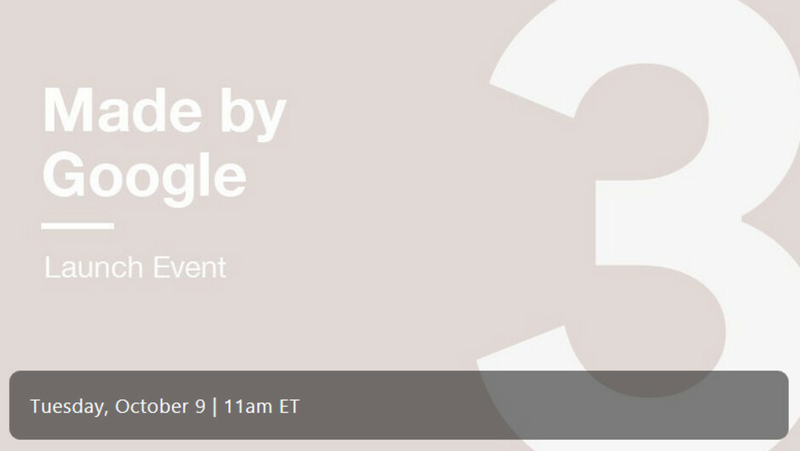 If you have your heart set on the Pixel 3 or Pixel 3 XL, or are curious to see if the Pixel Ultra exists, you might want to view the event as it is streamed live from New York next Tuesday. One way to do this is to view the Livestream from the Made by Google Instagram page (@madebygoogle). You can also view the Livestream on the Made by Google YouTube channel, embedded above. Again, the event kicks off at 11am ET (8am ET, 15:00 GMT) on October 9th. Im watching to here the "boos"
I'm going to have my popcorn and beer ready for that day. Definitely excited for the Pixel 3, but what are they going to tell us that hasn't already been leaked to death? Well most people watch on smart phone or computer. What else would we watch it on..duhhh! I'm guessing about $749 for the 128gb Pixel 3. In that case my money just jumped into Google's wallet. I love the V40 but it's huge and the price is steep. The Pixel 3's size is perfect. After so much trolling, I will be very upset if they don’t give us the Pixel Ultra. But at this point anything is possible. I feel like this will be like watching a movie you already know all the lines to. Anyway, I actually relieved this is almost over for the Pixel 3 and 3XL. Bring on the leaks for the Pixel 4 and 4XL an hour after this conference is over.